TALE OF THE MUMMY deals with an ancient Egyptian prince named Talos who returns from the dead in the form of dirty CGI mummy wrappings and proceeds to kill various London residents in an effort to be reborn into the modern world. What follows are 88 minutes of mismatched visual effects, crazytown acting, parking garage sets, and actor Gerard Butler in a blink and you'll miss him performance. 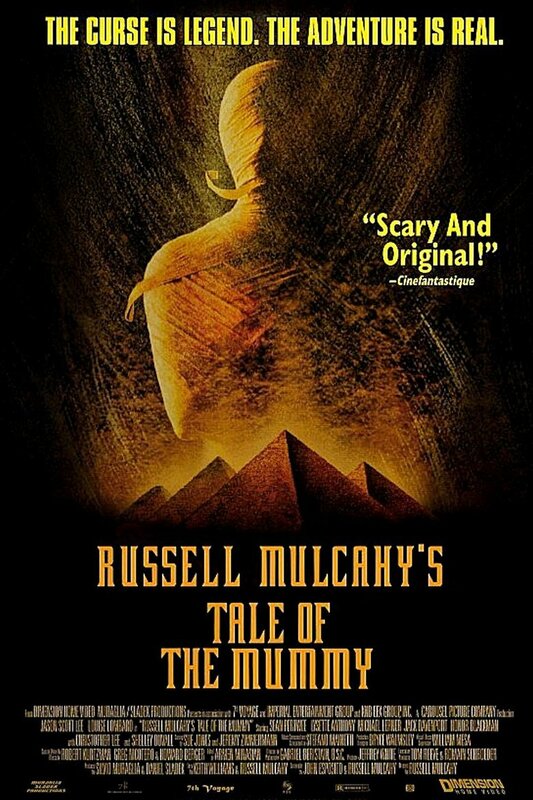 This unwrapped mess is available for streaming on Amazon and YouTube, but as always, you're better off leaving the homicidal gauze to us and go watch Brendan Fraser's MUMMY instead.